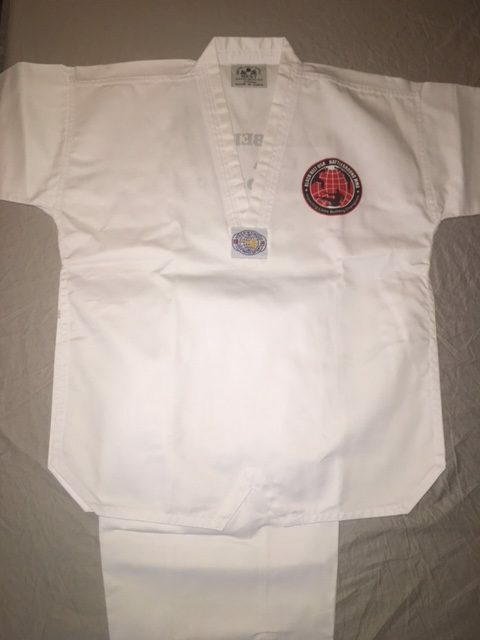 This is a standard White Uniform used for students who are a Color Belt. Our School logo, in full color, is fashioned on the left chest with our school name on the back in Black. 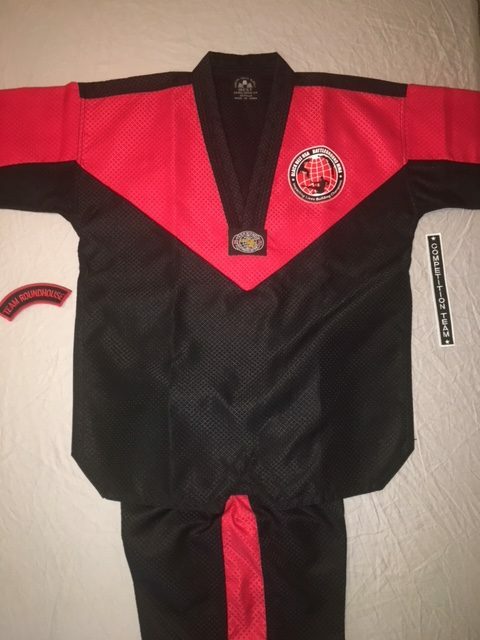 This uniform is required for Testing and Color Belt Tournament Sparring competitions. We encourage all of our Students to become Black Belts. We want you to succeed. By signing a Black Belt Agreement, each student is agreeing to stay in our school until they earn their Black Belt. This is a GREAT way to show everyone that you are committed to the journey. There is NO COST to enter this agreement. 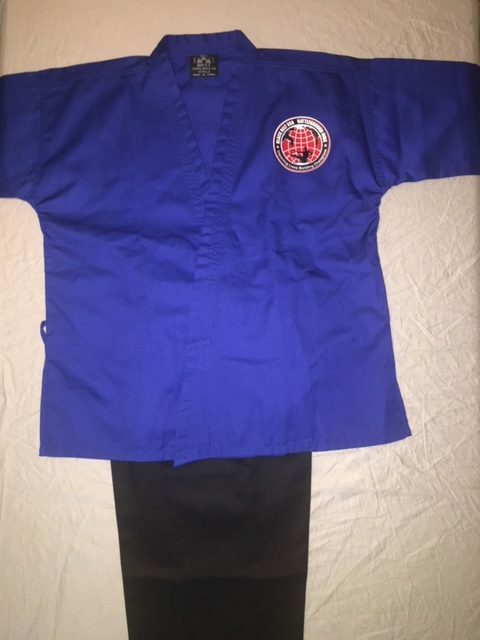 When you see this Uniform in our School, you will know that the student wearing it has committed themselves to becoming a Black Belt in Taekwondo. In our very own School colors, Red and Black. Team Roundhouse proudly displays their uniforms at every class and during their Private Competition Team Training every week. This Uniform comes with a personalized Team Roundhouse Jacket. This uniform is recognized at every tournament that we attend. This uniform can be worn during Forms and Breaking events at tournaments as well. Trust us when we say that our Competition Team Uniforms get EVERYONES attention.